Carolyn Letvin is a resident of Milford, Massachusetts. She began her painting career in 1973 by attending a three-month painting intensive with the renowned Pennsylvania realist, Ted Fitzkee, at York Academy of Arts, York, Pennsylvania. After graduating valedictorian from New England School of Art & Design in 1977 with a Certificate of Graphic Design, she took a hiatus from painting to run a freelance graphic design business. She returned to painting in 1989 and has exhibited in the New England area since 1990. She is an accomplished landscape painter and also creates stylized feline and farm animal imagery. She works on-site, from photographs and memory. She has won many awards through the years, including the Top Award at the 18th Annual Faber Birren National Color Award Show and an Honorary Mention/Sakura Award from the United Pastelists of America/Oil Pastel Association. Her most recent award is an Honorable Mention from the Hopkinton Center for the Arts “Arts in Bloom” juried show. Currently, her work can be seen at Lauren Clark Fine Art in Great Barrington, MA, Gallery Wright Studio in Wilmington, VT, and Hudson Art & Framing in Hudson, MA. 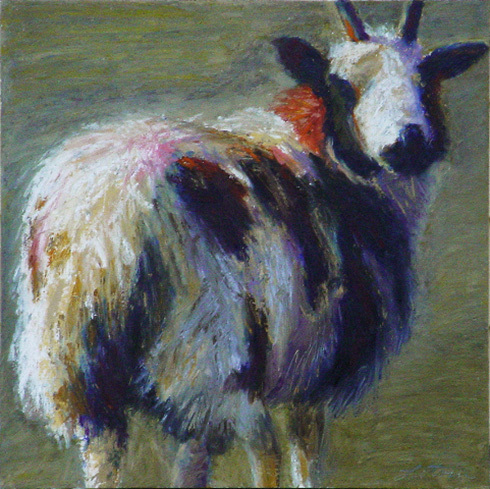 She is on the board at the Concord Art Association and a board member for the Monotype Guild of New England.